It's A brand New Audio Sound Track From One Of The Best Female Up Growing Tanzania Artist "Maryann Queen" Featuring One Of The Long Time Outstanding Bongo Fleva Super Star T.I.D (Mnyama) On Her New Song Entitled (All I Need Is You). Download And Enjoy This Freshly Brand New Hit & Stay Tuned For Video Drop Down.
" 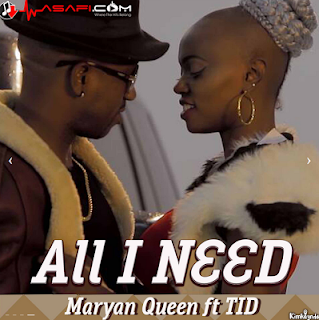 Maryann Queen Ft. Tid - All I Need "